Despite the high number of real estate offers in Barcelona and its suburbs not all buyers are ready to compromise and buy a house with all its advantages and disadvantages. Desire to find a dream house motivates many people to start a difficult process of building their own house in Barcelona or its suburbs. The first step is to find a proper plot. At this point you have to face the fact that in spite of the long coastal line the closest zone to Barcelona is almost completely built up. There is a wide range of plots but there are very few really attractive offers in a convenient area with developed infrastructure. Especially if we're talking of the flat land convenient for building. Due to the mountain landscape of Barcelona suburbs the majority of plots have slopes. These slopes usually have great sea and nature views but they reduce the actual quantity of the used square and raises the expenses. Before purchasing a plot it is important to get familiar with all norms and regulations of building on the chosen area. Each plot has its own restrictions: building coefficient, total area, height of the building and distance from neighbors. In some villages there are also restrictions for the roof shape, materials, the overall building and fence styles. Costa Garraf begins 14 km away from Barcelona, right after the international Airport El Prat. It is considered to be the most prestigious Barcelona suburb. Local celebrities, including Football Club Barcelona players live here. The main advantage of Costa Garraf is an eight kilometers long beach which is good for walking, jogging and cycling. Costa Garraf is the only of Barcelona suburbs where beach is not separated from the residential area by a railway road. For the moment there are very few plots for sale within a walking distance from the sea. All plots are flat, located in the pine forest, hundred meters from the beach. Their area varies from 2.000 till 10.000 square meters. The average land price in this area starts from 1.000 euro per square meter. 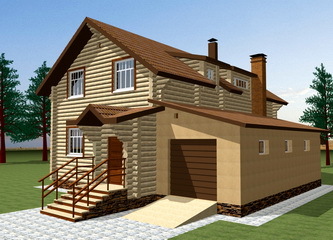 Plots next to the mountains are located on the upland and have great panoramic sea views. Usually these plots are smaller with the area from 600 till 1.000 square meters. In this case the land price varies from 700 till 1.000 euro per square meter. To the North from Barcelona, in the direction of France lies Costa Maresme – the traditional place of residence of wealthy barcelonians. The most prestigious real estate of Maresme is concentrated in foothills, 2/5 km away from the sea. Plots available for construction are located in the same area. Most of them are located on a slope what is not convenient for construction but this disadvantage is generously compensated with amazing panoramic views of pine forest and blue sea. The standard plot size in this area varies from 800 to 2.500 square meters. The price range per square meter is from 200 to 500 euros. «Albert Good» collaborates with the best architects of Spain who are able to bring in life projects of any kind of difficulty and style according to clients taste. Our company will find for you highly qualified engineers and technical specialists, conduct the competition among building companies to choose the one which offers the best service and pricing and will take care of all legal issues related to the process of construction. Through the process of building we will organize the technical control and administrational supervision. After the end of construction «Albert Good» will conduct all necessary actions needed for registration of your new property and in case of requirement will choose stuff for serving the house.